Many Businesses Assume once you provide a consumer a service or sell them your product, THEY ARE CUSTOMERS FOR LIFE. That Is Simply Not The Case. In today’s competitive environment retaining customers is more important than ever before to sustain a growing business. 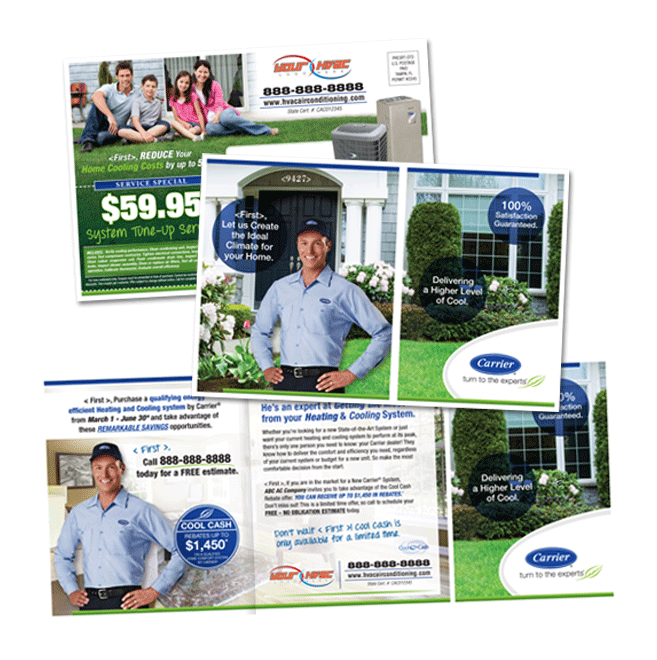 Our custom campaigns are designed to retain and grow your existing customer base. A companies total universe of existing customers is usually only 25% of their total database. Campaigns designed with your clients in mind can grow this universe to exceed the standard 25%. Statistics show that a business that has a good relationship with their existing customers get as much as a 15%-35% long term transaction rate for those marketing efforts. These efforts will generate more return visits and more referrals for your business. 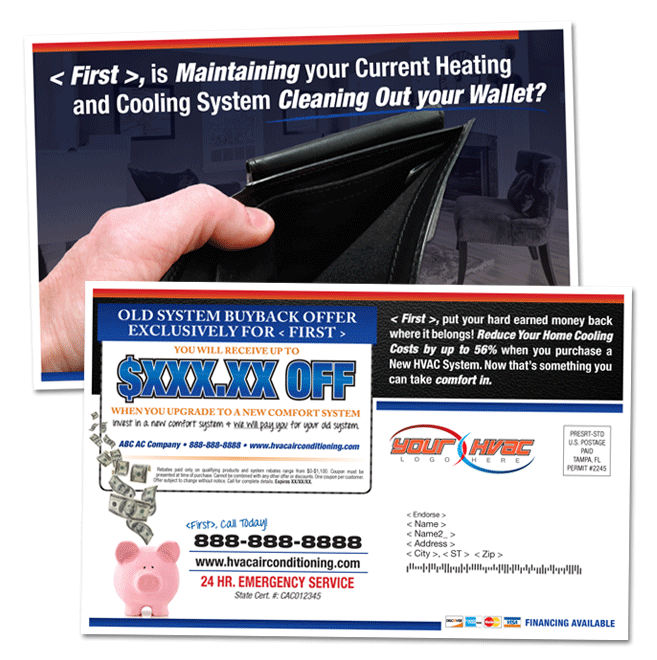 We have a developed a program specifically for the HVAC industry that will allow you to increase your sales by as much as 50% by simply contacting your customers when important events occur. It may seem like a daunting task to keep constantly communicating with each of your customers. That no longer has to be the case with our automatic Trigger Marketing System.